I unfortunately don't have too much information on the next person to feature on Where are they now? although if you haven't heard of him you've probably heard his music at the very least. This week I'd like to talk a little bit about David Govett who in the gaming world is probably best known for his game soundtracks from the early 90s (usually in collaboration with Team Fat, a group led by George "The Fat Man" Sanger that was formed in 1983). Govett got into composing music at a young age and it was all thanks to the awesomeness of Star Wars. He learned music theory at school and college and eventually in 1987 is credited for composing music for the legendary Lucasfilm adventure game, Maniac Mansion. According to Mazedude (a prominent VGM remixer), Govett composed Bernard's Theme in Maniac Mansion which happens to be a pretty funky tune - but then again, a lot of the soundtrack was pretty damn funky. Then there was a gap of a couple of years before there was a flurry of game soundtracks that he composed music for, over 30 in the 1990s by MobyGames' count! 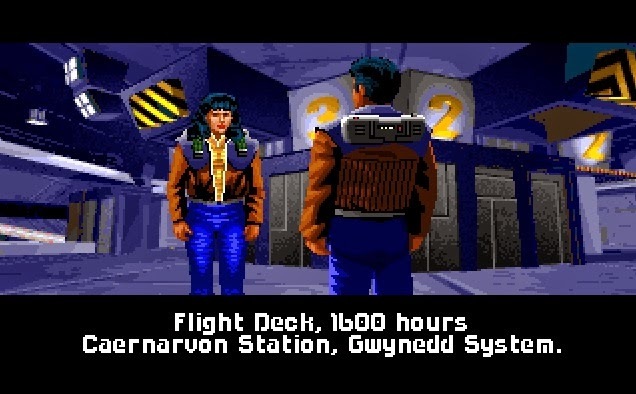 Govett composed music for epic space sims Wing Commander and its sequel Wing Commander II, strategy games Castles and Castles II, classic dungeon crawler Ultima Underworld, sci-fi turn-based strategy game Master of Orion and the horror puzzle game The 7th Guest (just to name a few). It was awhile before Govett composed music again for a game which would occur in 2003 when he composed music for Disney's Piglet's Big Game. Since that time, there hasn't been much word about Govett although, again, according to Mazedude, he's been serving as a police officer in recent years because he found it to be less stressful than composing game music. So we really don't have any idea unfortunately of what David Govett is up to nowadays and if the last comment is true, it's unlikely we'll see him ever composing music for games again - although he seems to have a knack for scoring epic soundtracks no doubt thanks to being influenced by great film composers such as Alan Silvestri and John Williams. Here's hoping he gets back into it someday! EDIT (12/06/2015): Apparently David Govett is going to be composing music for the next Master of Orion game! Thanks for the heads-up Gabrien! David Govett is returning as composer for Wargaming's reimagined Master of Orion! Oh wow! That is indeed good news! Thanks for the heads-up Gabrien :).